Piezoelectricity is the property that is found in piezoelectric materials like quartz and barium titanate. This was first discovered in 1880 by two French physicists. Piezoelectric materials can produce a mechanical stress when an electrical charge is applied to it. The amazing thing is that this process can also be reversed meaning the material can produce an electrical charge if mechanical stress is placed on it. The first time someone tried making piezoelectric ceramic devices took place during World War I. Two French scientists wanted to create a perfect piezoelectric ceramic ultrasonic submarine detector to help their country, but they didn’t finish this application until after the war ended. The success of this piezoelectric transducer led to the intense research and development of piezoelectric ceramic devices. During the period after the first World War, piezoelectric ceramic products like microphones, accelerometers, signal filters, etc. were invented. During the 2nd World War, the U.S, Japan and the Soviet Union discovered that certain ceramic materials exhibited dielectric constants up to 100 times higher than common cut crystals. The discovery of easily manufactured piezoelectric ceramics led a revival of intense research and development of piezoelectric sensors, piezoelectric transducers, & various other piezoelectric products. Powerful sonars, ceramic phono cartridges, ceramic audio tone transducers ,etc., were all developed during this period. During the 20th century, a record number of patents have been granted by the U.S Patent Office annually showing that the world is becoming more aware of the possibilities of piezoelectric ceramics. As the applications of piezoelectric ceramics grows, there will also be a need to increase the number of piezo ceramic manufacturers in order to keep up with the demand. The process for manufacturing piezoelectric ceramics is very similar to the process to make any other ceramic products like plates and bowls. Thus, the name Piezo Ceramics. Different piezoelectric ceramic processes have different steps, but they all share the same common steps. Afterwards, the mill is discharged, and the product is dried and prepared for calcining. Can Piezo Direct provide me with custom assemblies? Yes. As a piezo ceramic manufacturer, we are able to provide you with any complex piezoelectric ceramic components and assemblies that can be customized to your exact requirements. How can I get a quote from Piezo Direct? There are 4 simple steps as to how this works. Exploratory – Under NDA, information you provide to Piezo Direct will allow us to quote your piezoelectric ceramic component or assembly cost, with a preliminary schedule. Launch – Once the project is approved, Piezo Direct provides a detailed milestone schedule with bi-weekly updates to your team and immediate on-call support when needed. Ongoing Support – Piezo Direct provides responsive ongoing support, component upgrades and ongoing cost reduction when available. 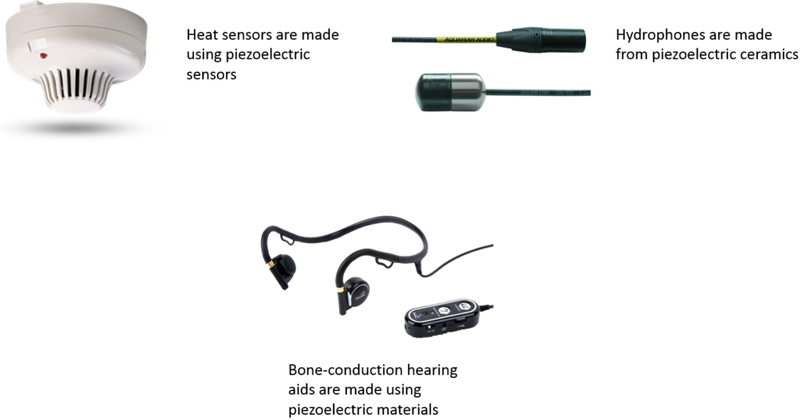 What are some of Piezo Direct’s specialties? Piezoelectric components as cylinders, rings, plates, etc. If you have questions, please call Piezo Direct’s engineering team at (650) 375-7003.